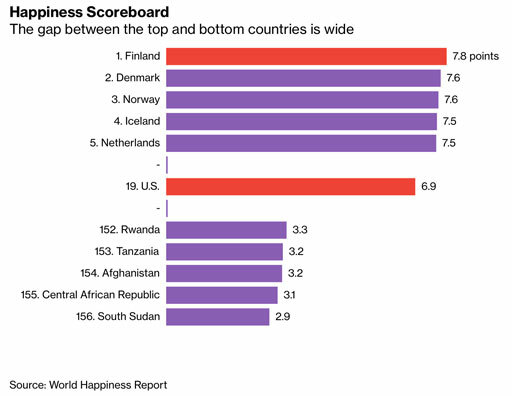 The Nordic nation of Finland ranks number one in global happiness for the second year in a row. It beat Nordic peers Denmark, Norway and Iceland in a ranking of 156 countries by the United Nations Sustainable Development Solutions Network. The ranking saw the U.S. drop one place, to 19th, while people in South Sudan were the least happy. 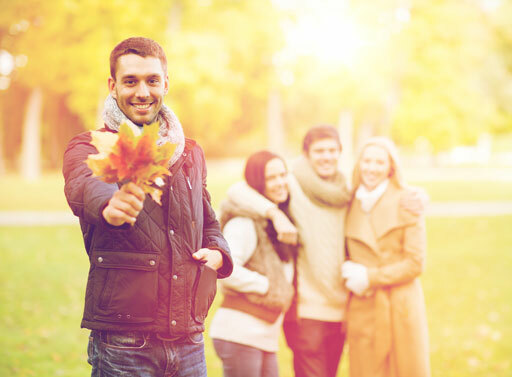 The results are based on an average of three years of surveys taken by Gallup between 2016 and 2018 and include factors such as gross domestic product, social support from friends and family, healthy life expectancy, freedom to make life choices, generosity, perceived corruption and recent emotions -- both happy and sad. According to the report published on Wednesday, Finland has witnessed modest but steady gains since 2014, and the country is now “significantly ahead” of other countries in the top 10, the researchers said.